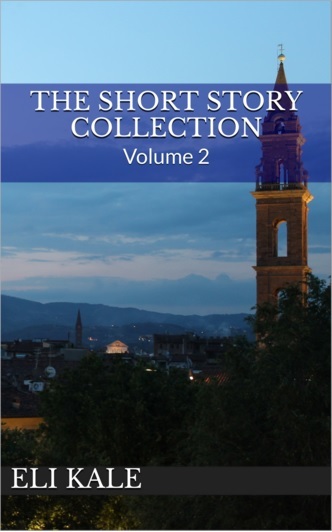 It’s been over a week since I released my second volume of short stories. It was an exciting release because it sort of happened off the cuff. I’d planned to release it sometime before my birthday in February, but I ended up pulling some strings to make it happen sooner. If you haven’t yet checked it out, you can find it on Amazon here. Looking ahead in this collection, I can tell you that I already have ideas in development for Volume 3! Granted, these ideas are at their most basic state of being, and have been sitting on the back burner for months. Nevertheless, it’s exciting to know that I already have a footing for the next installment of this collection, and that it’s ready to be worked on in the coming months. I am on the cusp of finalizing the first half of Imminent‘s manuscript, which should end up being around 21K words. The tentative release date of December 11 still stands, and I am working very hard to see that the book is released at the time. As I said before, once I get the edited manuscript back from my editor, I’ll reveal the cover and book details. Looking ahead in this collection, I am preparing the material for my next book. I plan on beginning work on this the day I submit Imminent to Amazon. This is because once that’s done, the story is out of my hands and I can’t change it for this release. This next story will be different from its predecessors in its own way, which is something I’ve tried to do with each new release. At this point, it may be a little trickier to write, but that’s the fun of writing – to test yourself! When you go back through your manuscript (whether before or after having another person look at it), look up all the instances where you use certain words a lot. For example, I tend to use “then” when describing a sequence of events or telling what a character does next. It might be hard to envision it right now, but trust me – something like that shows. Another one is the word “just” being used a lot to modify short distances between objects or the relative time before or after something happens. Leaving words like these out can make a world of difference in your writing! That’ll be it for this week’s post. I hope you are accomplishing your own work and are getting along well with developing your craft. If you’re not a writer, I encourage you to keep reading! Thank you for reading my post, and if you haven’t yet joined my mailing list or follow this blog, I encourage you to do that as well. The editing process continues for Imminent, with everything still on track for a December release. I’ve decided that once I receive the edited manuscript from my editor, then I will reveal the cover and book details. It’s easier and way less stressful letting out that kind of information when you have the story back in your own hands versus still waiting to receive it – mostly because you can’t control it if you don’t have it. I’d hate to reveal the cover and details and then find out there’s a snag in the editing or I need to do a major rewrite, thus prolonging the book’s release. That wouldn’t be fair to you, my readers! My new teaching job is going well, with my second full week beginning today. I teach through an online program, educating about 200 students across the state of Ohio. I’m currently teaching one class – Modern World History – three days a week. And yes, I’m working the other days of the week as well. When I’m not teaching, I’m planning lessons, creating presentations, and answering emails, among other things. It’s an exciting new endeavor in my life, not to mention the profession for which I went to college! I capture aspects of my everyday life through the lens of my digital camera, and upload that footage to my YouTube channel every Friday. I talk about indie publishing and the progress of my writing projects, as well as teaching in this new position. I also touch on travel here and there in my videos. If you’re interested in any or all of those topics, come on over to my channel and check out what I’m doing from week to week! As a writer, you should also be reading. It’s good practice to always have a book ongoing, whether it’s in physical form or on a reading device. I actually have a few books that I’m reading right now, each of them different from the others. “Let’s Get Digital” by David Gaughran touches on his experience in the self-publishing world; “The Craft of Intelligence” by Allen W. Dulles covers the author’s experience as an intelligence officer in the Cold War; and “On Hitler’s Mountain” by Irmgard Hunt. The first book is one I’m reading for knowledge, because learning about how the indie publishing world works is vital to being an indie writer. I’m reading the second book for research purposes, because some of what I’m learning about here will apply to what I’ll write later. And the third book is my “just for fun” book, because reading shouldn’t always be business. So if you don’t have a book cracked at any given time, then get on it! Reading books helps make one a better writer of them. That’s it for this week. Thank you so much for your interest in my work, and for reading my post this week. I encourage you to follow this blog, subscribe to my mailing list, follow me on social media, or even subscribe to my YouTube channel – any and all of those things will help keep you informed on what I’m doing, and will help us connect with each other. As you are probably aware, I have recently taken a full-time teaching job where I can work from home, educating high school students through an online program. This is something that has been long awaited, and it’s also a blessing. Due to the fact that I basically jumped right into the school year, I have been left with little time to devote to editing. Not that I have much to work with just yet – my editor is making her way through Part I. My hope is that I can plan ahead in the semester and hopefully get my lessons and presentations completed for the months of November and December, thus affording me more time in the evenings and on the weekends to tackle my story. That is where things stand as of now, and they can only improve from here. Look for more details regarding the book’s publication as October turns to November, and tell a friend about it! I plan on doing some sort of promotion for my other books in the run-up to the release of Imminent, but I’ll have more details on that as time goes on. You can check out my books Resistant and Unguarded – in print and on the Kindle – on Amazon! There was a post I read recently by Justin McLachlan that talked about common writing mistakes that make you look like an amateur, and I thought it was a good read! One mistake that stuck out to me was this: using fancy dialogue tags. Justin insists (and I agree) that “said” is really the main tag you really need. Sure, you can throw in a little bit of “yelled” or “exclaimed” or “interjected,” but always trying to use fancy tags can often take away from what’s actually being said because the reader is caught up on the tag, not the dialogue content. That’s it for this week. Thank you for reading my post and for lending me your eyes for this little while. If you’re interested in finding out more about my work (books, YouTube vlogging, blogging), just click the “Follow” button on this site. You can even join my mailing list to get my e-newsletter, which includes more in-depth details than what you’ll find here or on my social media. It’s kind of like a VIP club, so I hope to see you there!